Senny George’s work has been published in Stone Canoe. 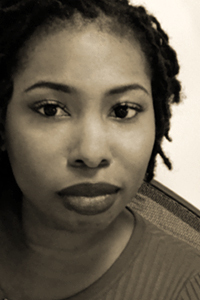 She is a Bronx-born writer and former journalist who has written for such media outlets as Essence and TheRoot.com. George earned her MFA in fiction writing from Goddard College and her BA in journalism from Syracuse University.